Bigfoot Sightings are probably the most contentious of all pieces of evidence because they rely wholly on the word of the individual having the sighting. Initially one is drawn to the story the individual has to tell, and once the story is known, the focus then moves on to the individual himself. Is he a truthful character? what has he to gain from inventing such a story? Is he an attention seeker? By accepting the validity of a sighting, one is putting a lot of faith in the individual having the sighting. Looking at the comparisons above, i am not convinced that Bigfoot sightings can can be attributed to bears. If an individual has a quick sighting lasting no more than a few seconds, at a distance, then yes one can believe that the individual may have confused one for the other. But there are some obvious differences between the two creatures. A bear has a more pronounced snout, whereas bigfoot is more that of an ape. 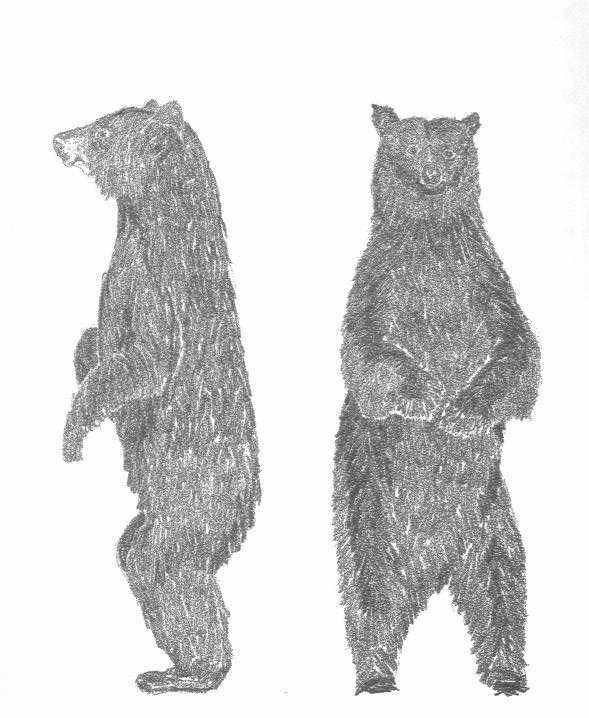 A bears legs are also much shorter and is not able to walk on its hind legs for any great distance. An finally, as can be seen from the above comparison Bigfoot also is known to have big broad shoulders which are absent in a bear. If no rational explanation is found to explain the Bigfoot sighting, then the story is revisited and examined further. The eyewitness may have told the story to several people and the different versions are compared. Most eyewitnesses are interviewd several times and the interviewer will pay particular attention to the consistency of the details reported. William Roe was another individual who observed a Sasquatch in 1955. 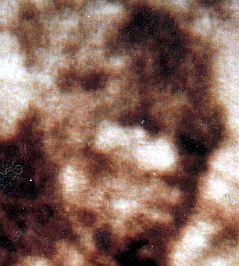 The level of detail provided by his sighting and his impeccable character, again convinced people that this may be a genuine sighting. Both Ostman and William Roe, it must be added swore the truth of their accounts before a justice of the peace. An interesting point to note is the individuals who have sightings, even though they are seperated by time and distance describe essentially the same creature with the same physical characteristics. A common first response after a sighting is to comment on the Human looking characteristics of the face. Hence some commentators have characterised bigfoot as been an extremely primitive form of man. And there are other similarities too, which appear consistant from sighting to sighting. The Most obvious observation is the sheer size and bulk of the creature, very powerfully built with a thick chest. 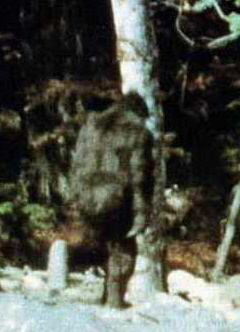 Tom Skewd, who sighted a Bigfoot on a coastal beach, British Columbia in 1994, said it had a chest like “one and a half fourty five gallen barrels”. In many reports the neck is either missing or is extremely short. William Roe commented on the neck of the creature he saw saying that it was “thicker and shorter than any man’s i have ever seen.” The Bigfoot creature filmed by Roger Patterson did not have a neck. These are reported as being unusually long. Proportionately longer that those of a human. William Roe commented that the arms of the sasquatch he saw, reached down to its knees. Exactly the same comment was made by two prospectors who observed a Sasquatch in 1965 and saying that it’s arms “reached below the knees”. Even the creature in the patterson film (left) has abnormally long arms. Not a physical characteristic, but a common feature normally associated with a sighting is the strong odour that the individual experiences. This smell comes from the Sasquatch and it is unclear whether this is a defensive mechanism as in the case of Skunks or whether the creature is in need of a good bath!!. Observers find the odour overpowering and liken it to rotten eggs or rotting meat. The Bigfoot creature sighted in florida is now known as the Skunk ape as a result of its smell as reported by eyewitnesses. One would argue that with all the information available about Bigfoot it is quite easy for a hoaxer to make up a sighting and include in it, the characteristics mentioned above. This is a good point, but when Albert Ostman and William Roe had their encounters, information about these creatures was virtually non existent. 4. John Napier - The yeti and Sasquatch in Myth and Reality. (1973). E.P Dutton & Co., Inc.